Chipotle Closes 43 Restaurants In Washington, Oregon Amid E. Coli Outbreak : The Two-Way At least 22 people have been infected with E. coli, some of whom reported eating at Chipotle restaurants in the two states. This is the chain's third food-contamination outbreak since August. The logo of Chipotle Mexican Grill as seen outside a restaurant in Pennsylvania. Chipotle Mexican Grill is temporarily closing more than 40 restaurants in and around Seattle and Portland, Ore., as health officials investigate an E. coli outbreak that has gotten at least 22 people sick. "Since Oct. 14, three people in Clackamas and Washington counties in Oregon, both in suburban Portland, have fallen ill, said Jonathan Modie, Oregon Health Authority spokesman. And 19 cases in Clark County, which contains Vancouver, Wash., just north of Portland; Cowlitz County, north of Vancouver; King County, where Seattle is the largest city; and Skagit County about 50 miles north of King County, also have been reported. "About a third of the victims have been hospitalized, he said. No one has died from the Shiga toxin-producing E. coli bacteria, the most common in food-borne outbreaks.
" 'Many people affected with Shiga toxin E. coli may not seek health care, so the number of people made ill by this outbreak is likely more than identified,' Modie said in a statement. 'Health officials want people who have eaten at a Chipotle between Oct. 14 and 23 and become ill with vomiting and bloody diarrhea to see their health-care provider and mention this outbreak.' "
In a statement provided to Reuters, Chipotle said it had received notice from health officials that some of the people who got sick ate at six of the chain's restaurants. "Out of an abundance of caution," the company said, it temporarily closed all its restaurants in the area — 43 locations in two states. "Those earlier cases involved salmonella and the highly infectious virus norovirus.
" 'Short term they (Chipotle) will take a hit but it will blow over quickly. They have a lot of customer goodwill.' said Bob Goldin, executive vice president at U.S. restaurant consulting firm Technomic. "The 1,700-outlet chain has grown quickly since it opened in 1993 with a single location, distinguishing itself from typical fast-food restaurants by touting its use of healthy and high-quality fresh ingredients in its menu of burritos, tacos and salads." 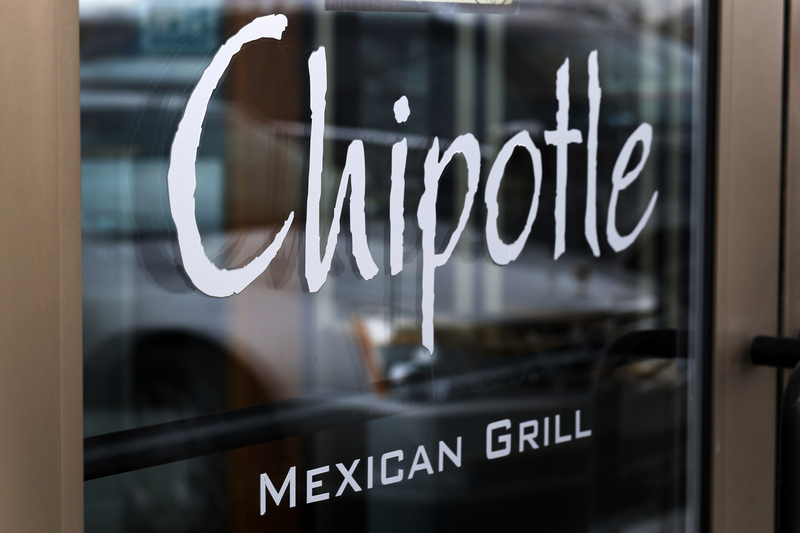 NBC News reports that the investigation into the E. coli outbreak is still in the early stages, and that it's likely they will find that the E. coli "came from a fresh food product delivered to Chipotle restaurants and other places." "The investigation started with talking to everyone diagnosed with E. coli and finding out what they ate and where. Test samples from those individuals will go to state labs in Washington and Oregon. "Then samples of food from the restaurants will be tested at a U.S. Food and Drug Administration laboratory to see if bacteria from the food matches the human cases."